GOGGLE ACCESSORY: Electric spare lens. Genuine retail quality replacement lens. 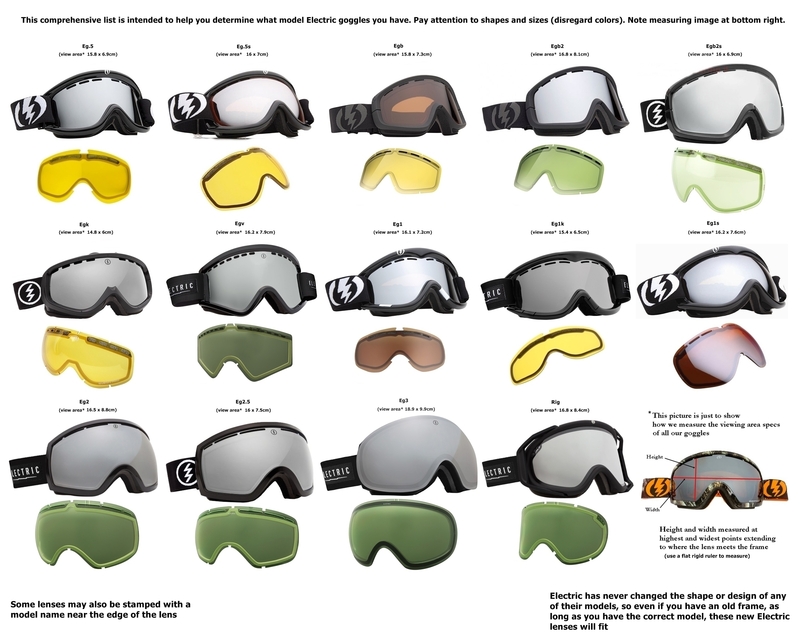 Not sure what model goggle you have? 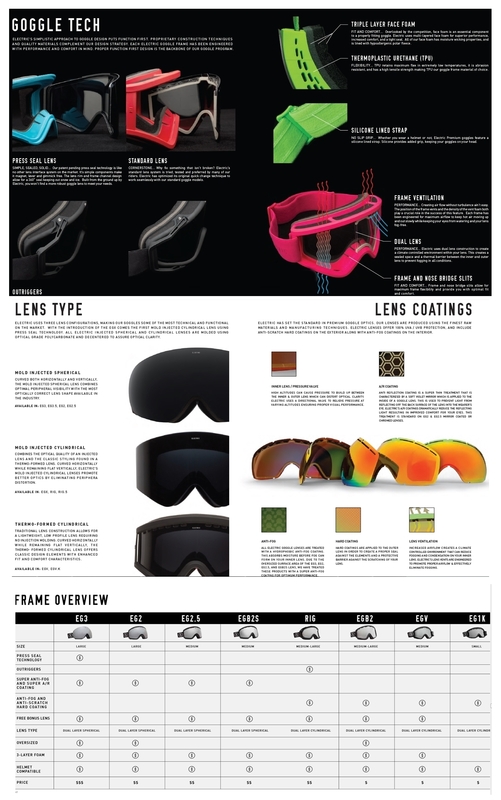 View our model identification chart. INTENDED USE: cloudy, snowy, and any low light conditions. 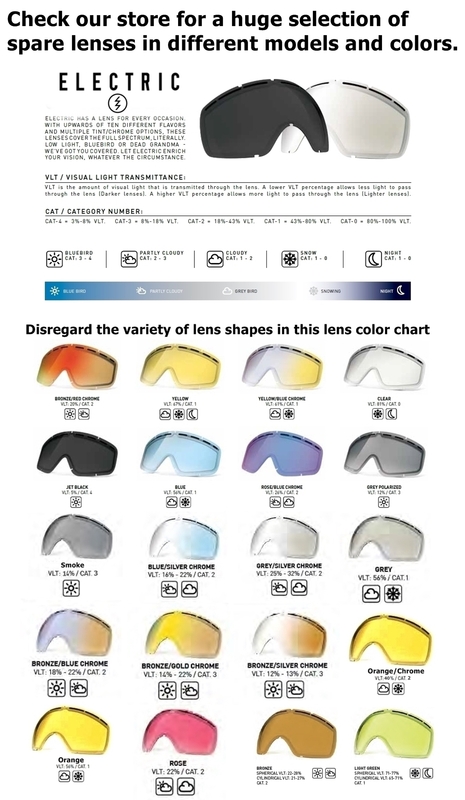 View Electric's lens application chart. LENS SWAP INSTRUCTIONS: Pull upwards on top of frame to separate frame from lens then continue around and remove the lens from the nose bridge of the frame last. Insert new lens in reverse order. Be careful to make sure the attachments points and the corners are matched up before securing lens into frame, then continue around the sides and secure the top last. This can be tedious the first time and becomes much easier subsequent lens changes.